We are celebrating 7 years of business! As a way to thank our customers we are having a party! 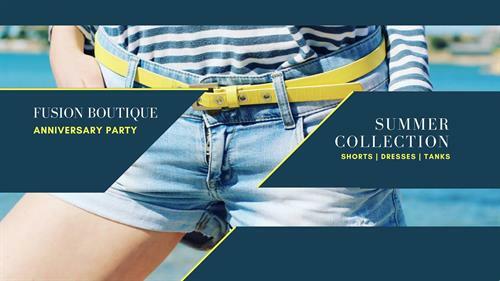 Join us and peruse the summer collection, sip on summer drinks and munch on light snacks! Plus we are doing giveaways every hour and be sure to enter our mannequin outfit giveaway. Please RSVP here.